Pay It Forward: Gift from Terra Beadworks! I signed up to participate in a Pay It Forward event that will be on-going throughout the year. While I am still in the midst of creating and dreaming up something pretty for the three wonderful people who signed up to receive a gift from me, I have received my first gift! 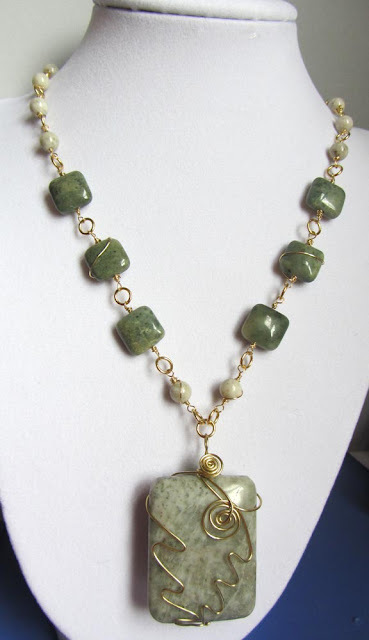 I had signed up to join in the Pay It Forward event on Katherine Gale's blog, Terra Beadworks. Katherine was a sweetheart. 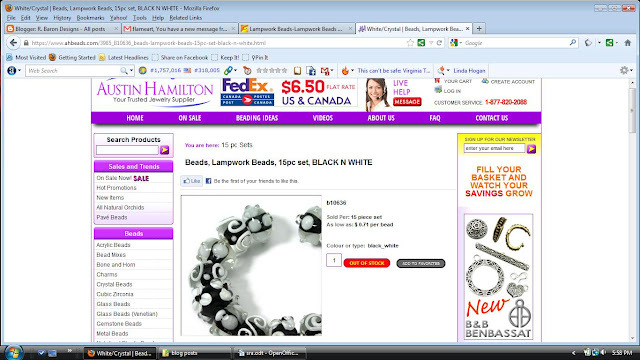 She contacted me, saying life had been crazy, and would I mind, as my pay it forward gift, a selection of beads? Seriously? You're asking a bead addict if they would mind more beads? Could there be anything that would make me happier? So here is the gorgeous assortment of beads Katherine sent. She knew I liked purple, and threw in perfectly coordinating pinks and blues! Since she also included in the gift two toggles, and some focals, I am going to attack this bevy of beads as a "bead soup" and use them together to create some pretties. There are so many cool polymer clay beads in the selection, I will be able to make some really unique pieces! I will be sure to share these creations with you when I get them completed! Sometimes, you just hit it lucky. 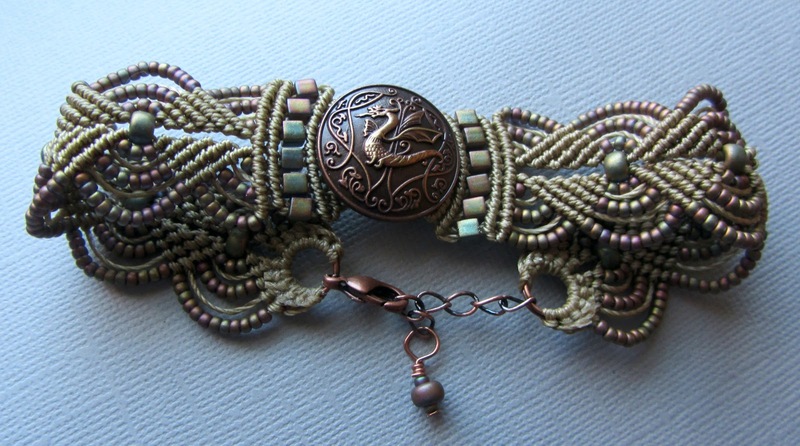 As part of the launch of Artisan Whimsy, an all-encompassing jewelry social media site, I entered a give-away for one of Sherri Stokey's micro-macrame bracelets. They are a-ma-zing. And I won! I WON! Call me Khaleesi--I have my Dragon!! Isn't it stunning??? This is not your grandma's macrame! I have to say that Sherri told me she makes these to order--and I still received mine lightning fast! I was amazed at how quickly she completed and sent my bracelet; and if this is how great her service is for a donation, I can't imagine how wonderful she is when you order from her! 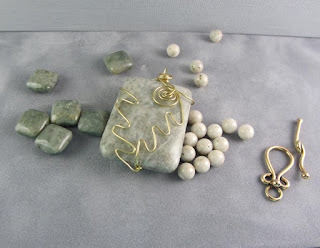 This past summer, I took part in the gigantic Bead Soup Blog Hop, hosted by Lori Anderson (check out what I made here). 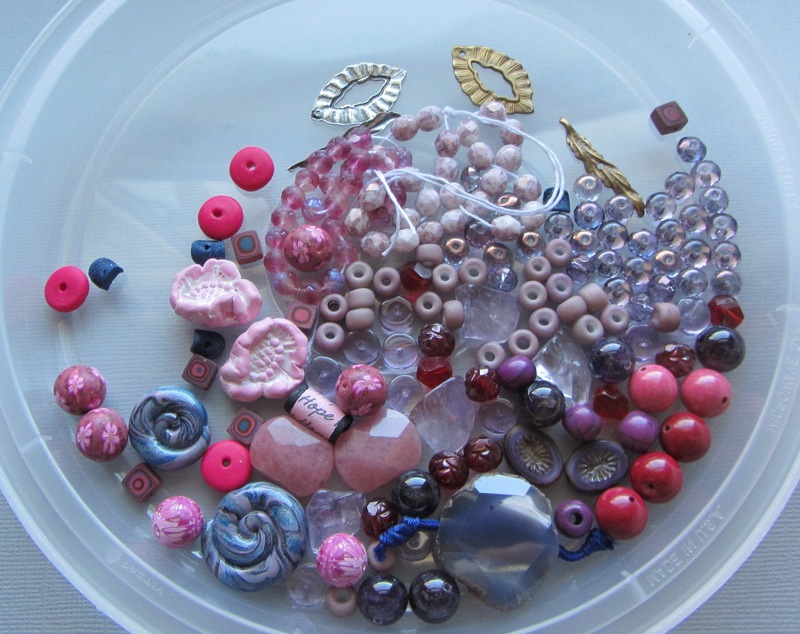 Little did I know, Lori was in the process of being published by Kalmbach Publishing Co.--she had created a book of gorgeous blog hop creations entitled, Bead Soup: 32 Projects Show What Happens When 26 Beaders Swap Their Stash. As part of the promotion for the book, Kalmbach had arranged for local bead stores to donate some bead soups, which they sent some lucky beaders...and I was one of the lucky ones! My soup comes from Just Beading Around, a bead shop located in Epping, New Hampshire. I have to admit right off the bat that I did not do the gorgeous wire-wrapping on the focal--I was again lucky, because it came that way! 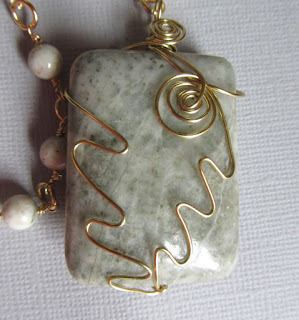 I decided I wanted to take the wire-wrapping idea and use it gently in the design. 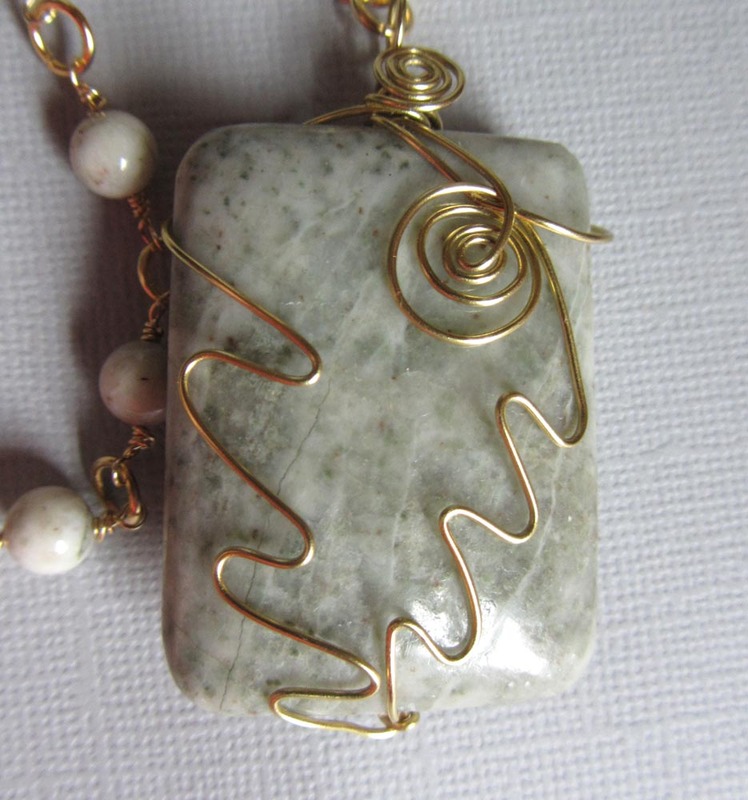 I love wire wrapped jewelry, so I was excited by the idea...and discovered that I much prefer to have others wrap the wire! I give kudos to all of the wire-workers out there--I wish I had their patience and fine motor skills! A very simple design, but I think it is gorgeous. I feel like the beads were meant to be this way! 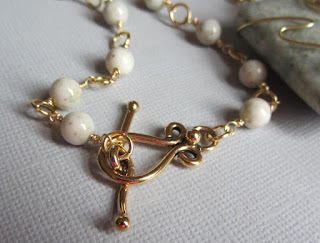 I love the weight of the necklace and how the wire-wrapped links go along with the beautiful focal, yet allow the focal to still shine. I didn't add any beads from my own stash--this is all due to the beautiful beads sent to me by Just Beading Around. And just in case you can't see how lovely the focal really is, here is a close up. It has light veins and specks of a green-grey hue, which are so pretty! I want to thank Kalmbach Publishing for arranging this fun and generous promotion. I would also like to thank the beading fairies that helped me to get lucky enough to have my name drawn as a participant! Four ways to help find true artisan-made lampwork beads! One some of the online groups I frequent, I have seen people asking how they can try to weed out the mass-produced glass beads from the artisan made lampwork beads. Sadly, two of the largest online sites, ebay and Etsy, are FULL of the imports (yes, even our “handmade” ally Etsy has allowed the mass-produced beads to infiltrate the site, mainly by turning a blind eye to reported importers, but that's another post). This is my own simple advice to help sort through the mass of listings as efficiently as possible, while allowing a buyer to focus on beads they can be reasonably assured are made by a single artist. I know I run the risk of possibly offending someone, so I apologize now, unless you are a reseller of imported beads hiding as an artisan...then you deserve to be upset with me. SRA stands for self-representing artist, and is a term that is used throughout the arts. 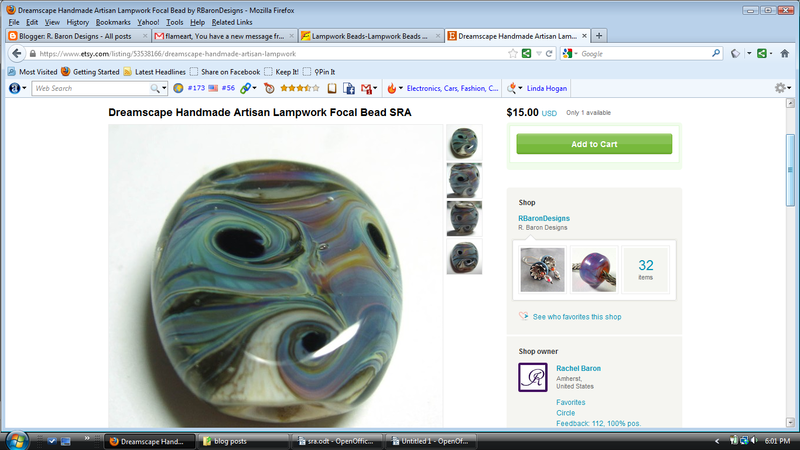 However, large numbers of lampwork bead and jewelry artists took to using that term as part of their fight against the influx of cheap, mass-produced products that invaded ebay a few years back. Now, it is true that anyone can claim to be a self-representing artist, so it is not a perfect way to insure that the beads you are looking at were made by a single artist. Also know that not every artist uses this term in their listings. However, it will help to weed out a lot of the re-sellers and focus your search. Unless an artist has built up a considerable inventory or has a great number of made-to-order items, the average lampwork artist can not crank out a hundreds of beads a day...and have the time to clean the beads, photograph the beads, and list the beads, and ship the beads....well, you get the idea. There are some very prolific lampworkers out there, but even they rarely have a hundred listing of ready-to-ship beads. These beads look familiar from Etsy or Ebay? They might...even though they are actually from a major re-seller! Does the seller mention anything about their studio? Using all of these tactics together can help you figure out if you are dealing with artisan-made beads, or dealing with a re-seller trying to pass them off as artist made. They aren't foolproof, but they can help you in your search. Any other advice out there we can give to help our customers find our handmade beads amongst the mass-produced?